The Salem witch trials are a strange, shadowy part of our past: Was that really us, burning those accused of invisible crimes, stringing up suspicious women on trees, hanging them from the branches like Christmas ornaments? 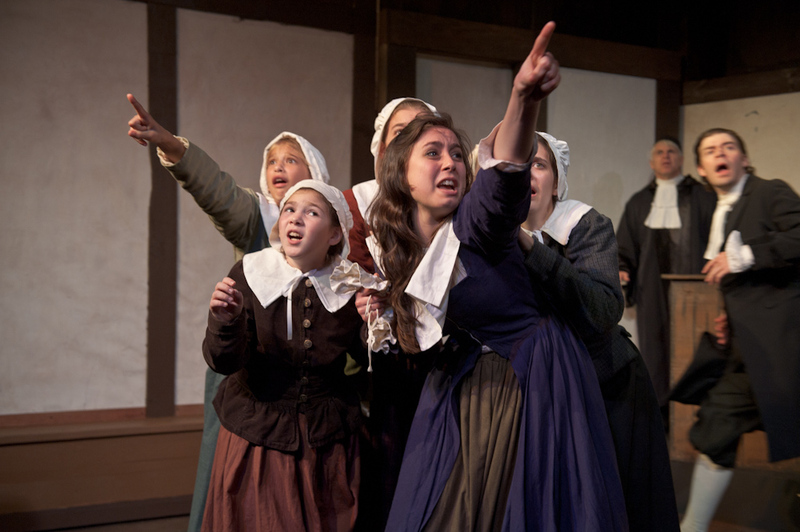 What’s especially bizarre about “The Crucible,” Arthur Miller’s dramatization of that time and place, is that the power lies with girls. They can manipulate the masses; the entire community is like Play-Doh in their small hands. 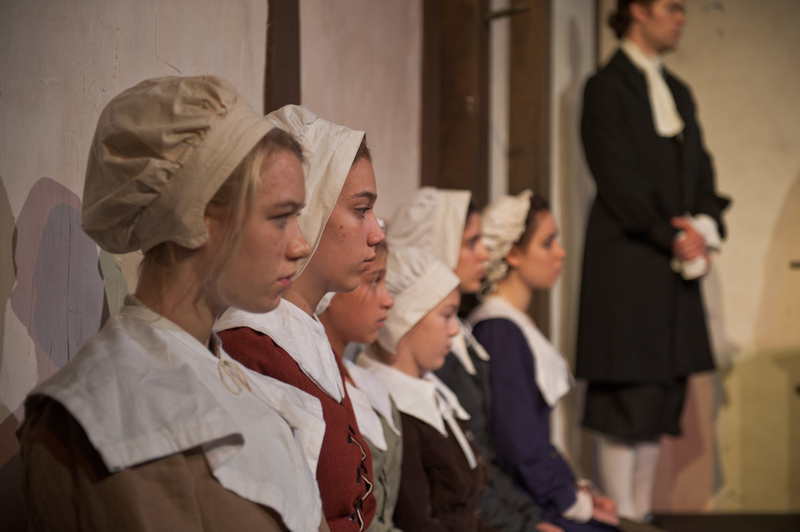 Keegan Theatre’s production of ‘’The Crucible’’ features a cast with actors as young as 9. 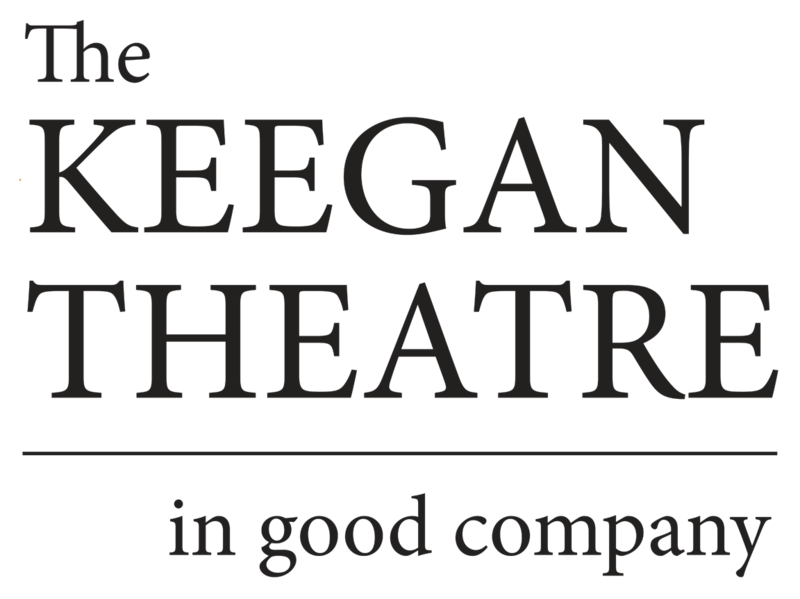 “That’s what’s fascinating about this show: The children are in charge,” said Susan Marie Rhea, who is directing “The Crucible” at Keegan Theatre for the second time. Rhea just returned with her cast from a three-week tour in Ireland. 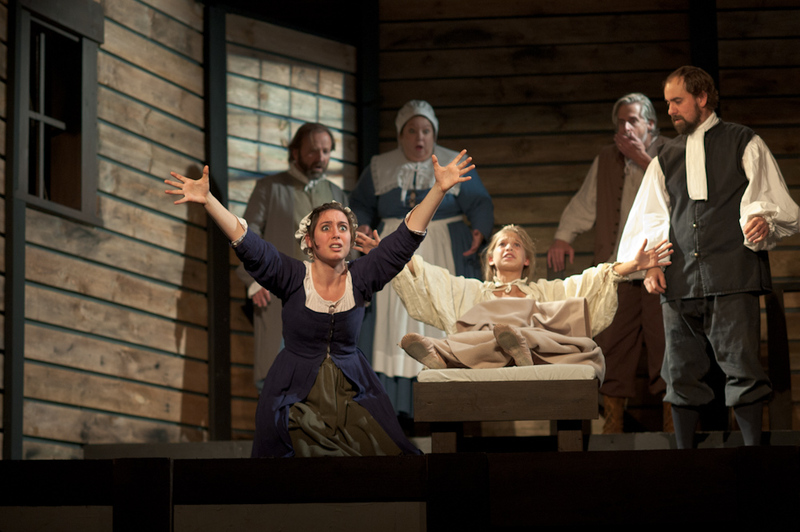 Sarah Lasko, the actress playing the ringleader, Abigail, describes her as “the alpha. .?.?. She’s so devious and manipulative. .?.?. She hides behind the innocence and ultimately is this evil person. The nine girls playing Abigail’s gang range in age from 9 to 17.